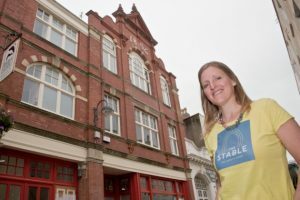 Weston’s creative tech and digital co-working hub opened its doors to the public one year ago, and to recognise the milestone, celebrated with Stable members, supporters and local businesses. The Stable, which is located on Wadham Street, offers co-working and office space to creative tech and digital freelancers, micro and start-up businesses on flexible and low-risk terms. As well as the economic benefits of supporting start-up businesses, The Stable helps to reposition Weston as a well-connected, quality location, identified as a good place to live and work, with a distinct personality based around creative arts and culture. Networking events and support are available to members of The Stable, to cultivate their business success. To register your interest in becoming a member of the Stable, visit www.thestableweston.com.